►Anita began her career in Local Government in 1974 qualifying as a social worker (CQSW,DipSocAdmin) in 1979. She later held a range of senior management posts, rising to Chief Officer in 2000. ►In 2002 Anita became one of the country’s first joint appointments between an NHS organisation (Chief Executive level) and a Local Authority. 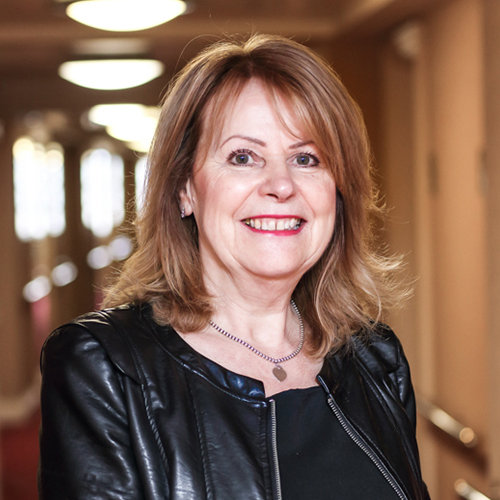 ►Anita has pioneered integrated working between Local Government and the NHS for many years and the model of partnership working that she has developed has been adopted and implemented successfully in other parts of the country. ►A strong track record of achievement in work with children and young people, Anita has held senior positions with responsibility for these services within both a health and Local Government context. She was lead CEO for commissioning children, young people and maternity services across the North West for a number of years prior to secondment to DH in 2010. ►Recognised expertise in transformational change management and leadership in complex integrated organisations. ►Experience of leading, through an extensive capital programme, a radical estates strategy to enable the delivery of integrated health, social care and well being services in a significantly deprived geographical area. ►A passion for continuing professional development with extensive experience over many years of supporting senior clinicians and managers through coaching and mentoring.